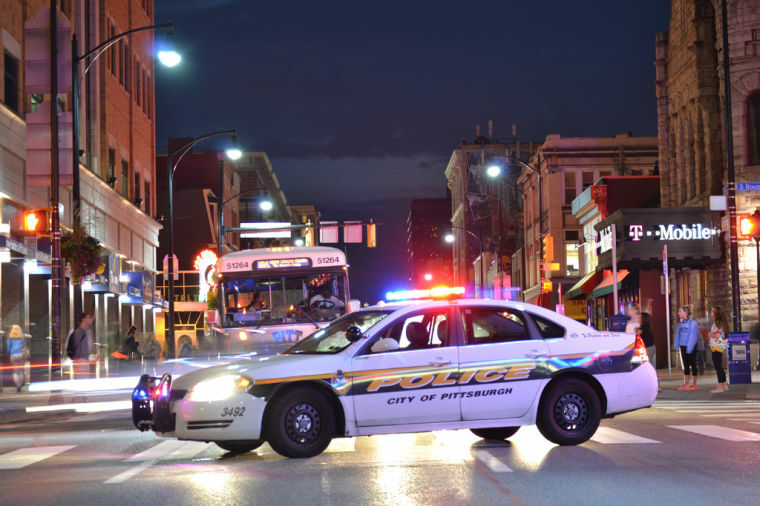 Pitt police assisted city police with a reported assault on the corner of Forbes Avenue and McKee Place Sunday afternoon. The fight, which took place at about 3:52 p.m., involved two individuals — one of whom had a knife. The victim reported that while he was crossing Forbes, the perpetrator drove into the crosswalk and exited a green Toyota Avalon with a knife in hand. Emily Schaffer, a city police spokesperson, said the victim was also struck in the leg by the vehicle and was treated on scene by paramedics and released. The driver punched the victim in the face before getting back in the car and heading east on Forbes toward Meyran Avenue. Schaffer said that the motive of the driver is unknown. The suspect is an African-American male with a thin build, wears glasses and is reported to be between 6-foot-2 and 6-foot-4. The suspect’s Pennsylvania license plate number is KGW-2725. Pitt police ask anyone with information to call 412-624-2121 and reference report #17-00335, or city police at 911 and reference CCR# 17-013498.